Here's everything you need to know about Fire Emblem: Three Houses, coming to Nintendo Switch in July 2019. Fire Emblem Three Houses marks the first proper game in the franchise to be launching on the Nintendo Switch, and it'll be out later this year. 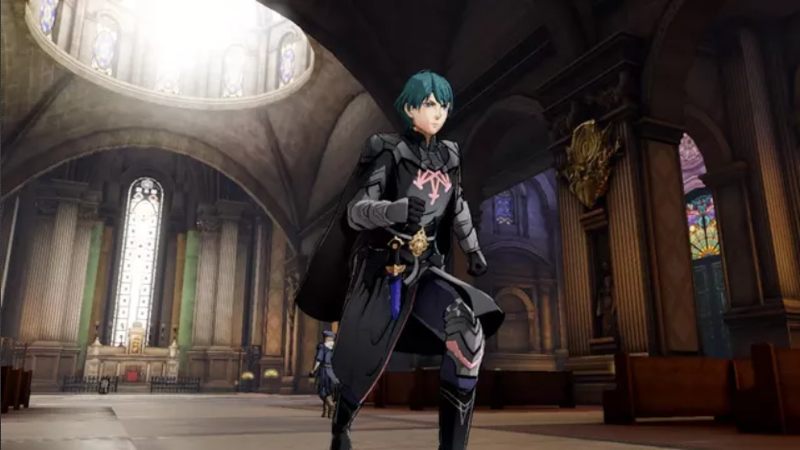 In this guide to everything we know about the new game so far, we'll be going over the Fire Emblem Three Houses release date, all the Fire Emblem Three Houses gameplay we've seen so far, a look at some of the intriguing Fire Emblem Three Houses characters, and more. In January 2017, Nintendo revealed that there was a Fire Emblem game in production for the Nintendo Switch, and that it would release at some point during 2018. 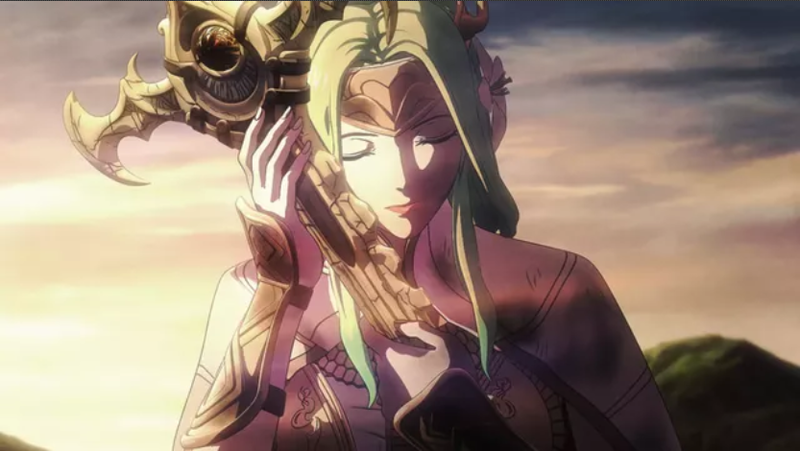 We then heard nothing about the game until Fire Emblem: Three Houses was officially revealed by Nintendo at E3 2018, along with a delayed release window of 2019. 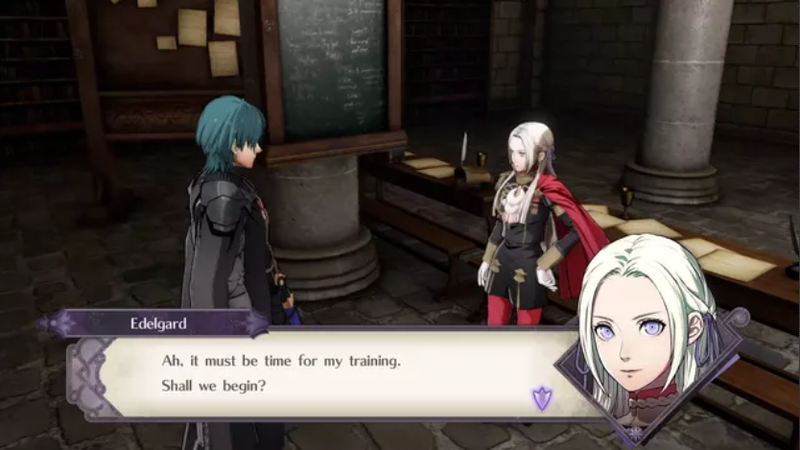 Then, during a Nintendo Direct on February 13, Fire Emblem Three Houses was finally given a release date of July 26. You can see the full trailed that debuted during the Direct just above, which outlines some of the factions that we'll be getting to know during the game. In the aforementioned Direct in February 2019, we finally got some solid details about the story of Fire Emblem Three Houses. You'll be able to choose between a male of female avatar, and you'll be taking on the role of a young soldier working under their father, Geralt (no, not that Geralt). From there, you're given the chance to become a professor at the Officer's Academy, which is the training school for the Church of Seiros. It's this Church that maintains the balance of power between the three kingdoms of Fodlan, the leaders (or Heirs) of which you can see depicted just above. As a professor, you'll pick one of the three houses to lead to victory within the academy. Yes, it's a bit like Harry Potter. We'll outline the houses and their leaders just below. 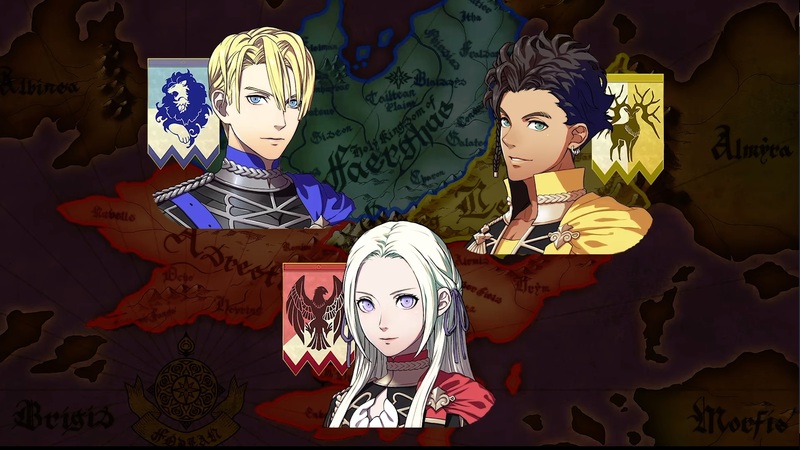 Black Eagles House - Edelgard is the leader of this house, who is also the heir to the Adrestian Empire. Blue Lions House - This house is led by Dmitri, who is the heir to the Holy Kindgom of Faerghus. Golden Deer House - Finally, this house is led by Claude, and features students from the Leicester Alliance. From the trailer debuted in the February 2019 Direct, it looks like your player character is actually friends with all three heirs, which is sure to lead to some drama. For the house that you ally yourself with, you can give students there lesson plans, train them with new skills, and increase their bonds with each other. Back at E3 2018, we got our first gameplay for Fire Emblem Three Houses. You can see the trailer for the game just below, which gives us a glimpse of gameplay on the Switch. 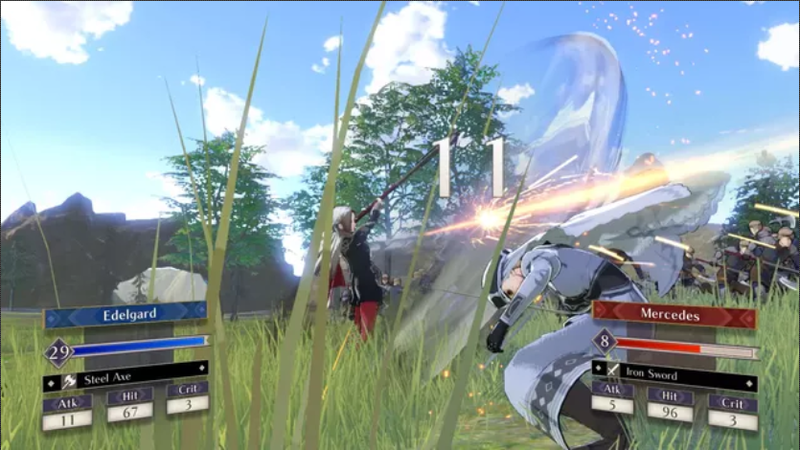 Just below, you can see a few screenshots from combat in Fire Emblem Three Houses. The important thing to remember is that the game is maintaining the turn based combat loop, where characters lead troops across the battlefield. You can even freely move around as your character at some point, interacting with specific characters while in battle. 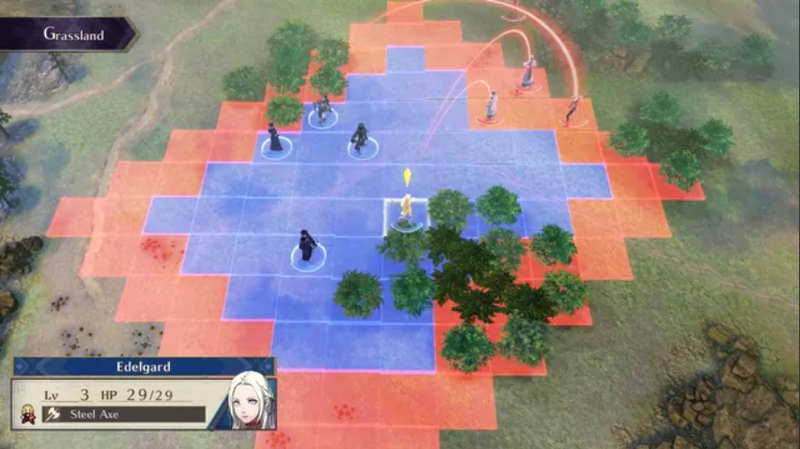 Furthermore, you can see some colorful screenshots of Fire Emblem Three Houses just below. 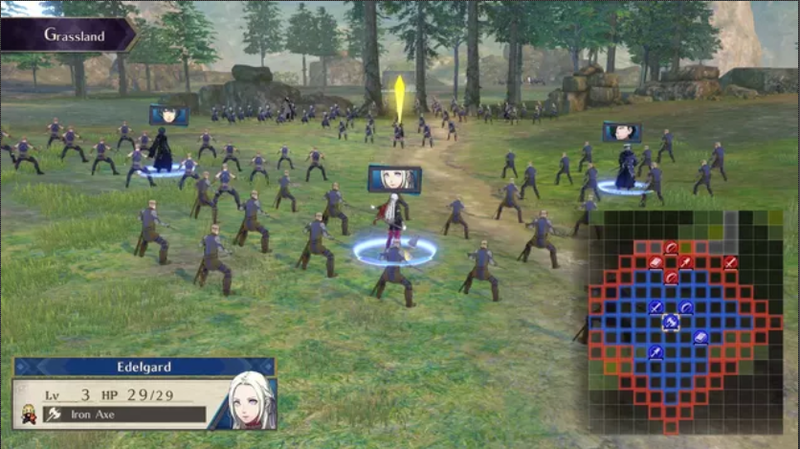 The game is set in the brand new world of Fodlan, where the Church or Seiros exercises complete control over the people and the land. The reveal trailer for Fire Emblem on the Nintendo Switch, which you can see just below, was originally released back in January 2017. At the time, the project went by the nickname of 'Fire Emblem Switch', and it wasn't until the E3 2018 presentation that the name of 'Three Houses' was revealed. That's it for everything we know so far surrounding the upcoming Fire Emblem Three Houses project, but make sure to keep an eye on this guide, as we'll be updating it with all the forthcoming information that we hear from either Nintendo, or any leaks online.